Police chased a car, which ended up with a missing wheel, through the centre of Kenilworth, after a suspected shoplifting incident in Leamington. Onlookers said they heard the sound of grinding metal as the officers managed to stop the Ford Ka in Abbey End at about 4pm on Monday, after it was spotted on the A46 and failed to stop. Two women in their thirties, both from Coventry, have been arrested on suspicion of theft and dangerous driving. 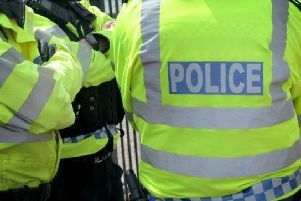 Police said the alleged attempted thefts were from a shop on The Parade, Leamington, and another at Shire’s Retail Park.